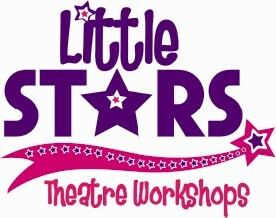 Little Stars Theatre Workshops Chelmsford Essex Description of our classes in acting, singing, dancing and drama. This class is desinged for children who have started school or children who are just about to start. These sessions are high energy and exciting, with lots of acting, singing, dancing with fun and games. Each term we follow a different theme and at the end of the term the parents are invited in to watch a show or a demonstration class. Shining Stars, Shooting Stars and Super Stars! Children aged 3-7 are invited to come along during the holidays for a three hour themed workshop over one or two days. At the workshop they will learn songs, dances and drama pieces, they will play games and have fun! At the end of the workshop the children will perform a production for family and friends to enjoy! Children aged 4-11 are invited to come along during the holidays for a five-hour themed workshop over one, two or three days. At the workshop they will learn songs, dances and drama pieces, they will play games and have fun! At the end of the workshop the children will perform a production for family and friends to enjoy! Students aged 6-16 are invited to come along during the holidays for a five-hour themed workshop over one, two, three or four days. At the workshop they will learn songs, dances and drama pieces to an advanced level. They will play skill and confidence building games and have great fun! At the end of the workshop the students will perform a production for family and friends to enjoy!